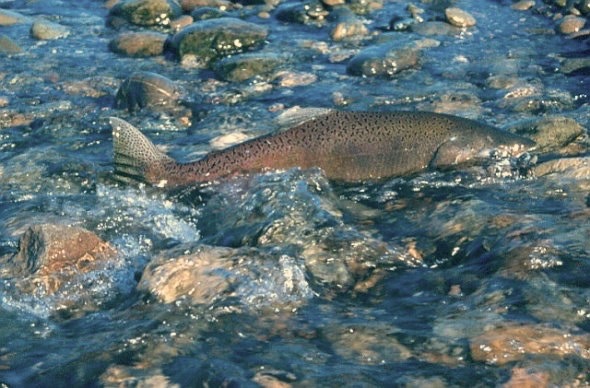 Last week, San Joaquin Valley Republican Congressman Valadao attached an amendment to the appropriations bill for the Department of Commerce that would prohibit the National Marine Fisheries Service (NMFS) from participation in the licensing proceedings of the Don Pedro and La Grange hydroelectric projects on the Tuolumne River. The goal of the amendment is to destroy any future chance for salmon and steelhead passage on the Tuolumne River. There was little notice of this amendment. However, in less than a day, several organizations including CSPA submitted a letter to the House Appropriations Committee opposing the amendment. On May 17, the amendment passed in committee. The bill could go to the floor of the House of Representatives within a month. None of the funds made available by this Act shall be used by the Department of Commerce to prepare, finalize, implement, or enforce recommendations, conditions, or prescriptions, or reserve authority related thereto, pursuant to authorities provided to the Department of Commerce under Sections 10 and 18 of the Federal Power Act (16 U.S.C. §§ 803 and 811) as related to the Don Pedro (P-2299-082) and La Grange (P-14581-002) hydroelectric projects along the Tuolumne River, California. In the opposition letter, CSPA and others wrote that this rider would undermine the Federal Power Act (FPA) by preventing implementation of fisheries protections under the FPA on a single river. It would substitute political opinion for the findings of recognized agency experts. It would also improperly implement a policy decision under the guise of appropriations. FPA Section 18 allows NMFS to prescribe fish passage at hydropower facilities under certain conditions, or to reserve its authority to do so. NMFS has reserved this authority on the Tuolumne River until 2025. In addition to preventing NMFS from supporting potential future fish passage, the Valadao rider would prevent NMFS from commenting on the forthcoming Draft Environmental Impact Statement and from participating in an upcoming required meeting with staff from the Federal Energy Regulatory Commission. In further opposition to the amendment, CSPA’s Chris Shutes and representatives from other groups spoke at the meeting of the San Francisco Public Utilities Commission on May 22. With water and power facilities of its own on the Tuolumne River, the City and County of San Francisco has been active in the licensings of the Don Pedro and La Grange projects. CSPA and others asked the San Francisco Commission to agendize this issue for its next meeting and to direct staff to prepare a resolution of opposition to this amendment. Preventing NMFS from doing its job on the Tuolumne River licensings would be bad for the river and would undermine environmental regulation. It would set a precedent that could encourage every hydropower operator to request special legislation for its own issues. CSPA will continue to closely monitor and take action on future developments. The other organizations were Friends of the River, Tuolumne River Trust, Golden Gate Salmon Association, American Sportfishing Association, Golden West Women Flyfishers, and Pacific Coast Federation of Fishermen’s Association. This entry was posted in Cindy Charles, Hydroelectric (FERC). Bookmark the permalink.